Click the button below to add the Hot Oil Grow Hair Formula#Grow New Hair# to your wish list. You Crave Beautiful Hair Now! Your hair may have slowed its growth, started to fall out more than usual, follicle or scalp damage from heat styling, relaxers or harsh hair care products and you want your beautiful hair back! Any stress that your scalp, follicles or hair received can prevent or stunt fast healthy growth. Strengthen any weak, falling hair with our Hot Oil Grow Hair Formula. Let it work through every follicle, one by one and each strand, locking in moisture to battle any level of dryness so you can have more of a bouncy, defined look. 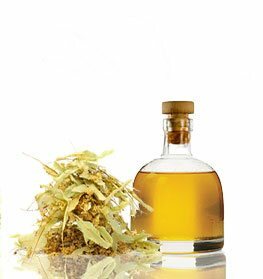 Many hot oil hair treatments available are made with unnatural ingredients such as Cocotrimonium Chloride, PEI-1750, Dimethiconol, Acetamide MEA, Hydroxyethyl Urea, or Benzyl Alcohol. Imagine instead, applying to your hair our hot oil treatment that is lovingly crafted with ingredients that add value to your hair and scalp! Formulated with Andiroba, Kukui, Karanja that are exclusive to this formula and renowned for their benefits and over the top protection with the super anti-oxidant Vitamin E.
This rejuvenating hot oil treatment restores vitality and strength by protecting your hair from the inside out. I've been struggling with hair loss due to health problems. Rheumatoid arthritis drugs, hypothyroidism, etc. I have spent a small fortune over the past decade on specialty kits from salons and health food stores, and nothing worked. Saw this product on Pinterest and tried it. Wowza, within my first month I have short hair growing. I've been using for almost a year and still have hair growing. My hair has filled out, and my stylist has been telling all her clients. They are getting the same or better results than me. Also, I use shampoo, conditioner, and changeup all the hair growing products. So proud to share they all work great. Be patient when using because hair grows slowly and take before pics. You will not be disappointed. Our hot oil treatment is absorbed for long-lasting results. Nutritive oils provide a soft lightweight moisturizing barrier. Makes dull, lifeless or damaged hair more manageable, and replaces moisture. Made here in the USA with the best ingredients from around the world. I could feel the difference almost as soon as I put the hot oil treatment on my hair. It immediately makes it so much easier to comb through my hair which tangles easily. I got this because of my over processed hair. It helped it instantly. I did the plastic cap overnight the first time. My hair is no longer dry and breaking off and is growing back nicely. I use this once a month for maintenance, and my hair has never looked so good! I love the herbal smell too. It really is just nutritive. My hair is mahogany brown with a cascade of different curls and coils that frizz promptly. My hair has been scorched and destroyed by chemicals and flat iron over the years. I have been slowly nursing my hair back to health by trimming the more damaged parts and continuously conditioning the rest. This treatment made my once frayed frizzy hair supple and manageable. I pair this hot oil treatment every time do my intensive deep conditioning treatments. My stylist is shocked at how much better my hair looks. She has even asked me if what I've been using in my hair. Elated by my results! This product will nourish dry, damaged hair and give hair moisture, bounce, and shine. The oil will lightly condition the hair and assist in hair health by moisturizing the scalp, eliminating dryness, and alleviating itchiness. Replenishes dry scalps and hair for an improved feel and look. Safe for color treated hair, and gentle enough for everyday use and on the scalp. Rosemary works as an antioxidant and an anti-inflammatory, providing better circulation of the scalp. It cleanses the scalp of any excess oils the hair may produce. Andiroba oil is anti-inflammatory oil rich in omega-3 fatty acids that promote healthy circulation to the skin, which will improve scalp and hair health. Karanja Oil has potent antiseptic properties which are perfect for treating dandruff that causes fungus. 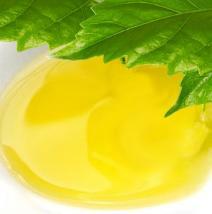 Primrose Oil is high in omega-3 & 6 fatty acids, which are ideal for treating hair damage and promoting hair health. Eleuthero Root Extract is a form of ginseng that encourages hair health by stimulating blood flow to the scalp, thus preventing hair damage. Cucumber Seed Extract has vitamin A, vitamin C, potassium, protein, calcium, silica and many more nutrients. Saw Palmetto Extract and Green Tea Extract have been used since ancient times for inhibiting hair damage. For best results, we suggest using this hot oil product on clean hair. Pour the amount of oil that will be used on hair in a small container and heat it in water for 2-3 minutes. Let it cool down so it’s warm enough, but not hot enough to burn your scalp. Shampoo hair and rinse off thoroughly. Apply this product to damp hair or towel dried hair. Massage oil all the way from the front of the scalp to the tips of your hair (Make sure to not exceed the oil applied from the shaft to the tips of the hair). Allow the oil to set in the scalp for a couple of minutes (15-20 minutes approximately). Finally, rinse oil completely, unless you desire to use it as a leave-in oil. • Heat the oil in a bowl of hot water. Please do not heat product in the microwave. It will cause the bottle to melt, and some of the nutrients in the product could lose their effectiveness. • This product can be used once weekly. We suggest using the oil after shampooing and rinsing with lukewarm water. • Always try to finish your shower with the coolest water you can stand. This product will make your hair frizz-free and will close the cuticle to make it shine as well. • To boost your conditioner’s moisturizing properties, mix a bit of this oil with your conditioner. • You can use this product as an overnight oil or a pre-poo to get more nutrients into your hair and scalp. Carapa Guianensis (Andiroba) Oil, Aleurites Moluccana (Kukui Nut) Oil, Pongamia Glabra (Karanja) Oil, Cucurbita Maxima (Pumpkin Seed) Oil, Oenothera Biennis (Primrose) Oil, Eleutherococcus Senticosus (Eleuthero Root) Extract, Fallopia Multiflora (Fo-ti Root) Extract, Glycyrrhiza Glabra(Licorice) Extract, Olea Europaea Leaf Extract, Camellia Sinensis(Green Tea) Extract, Cucumis Sativus (Cucumber) Extract, Arctium Lappa (Burdock) Extract, Citrus Sinensis (Orange)Peel Oil, Pogostemon Cablin (Patchouli) Oil, Rosmarinus Officinalis (Rosemary) Oil, Cananga Odorata (Ylang Ylang) Oil, Serenoa Repens (Saw Palmetto) Extract, Arnica Montana (Arnica) Extract, Tocopherol (Vitamin E). Yes it can to promote hair growth faster. My hair was thin and short. Since using this nutritive hot oil for growing hair, I have noticed a lot of changes in my hair. It feels thicker, fuller and longer than before using it. I now use it on my kid's hair it also noticed a significant change. It's light and not greasy. I will try this again. I use this hot oil formula for my scalp along with the grow new hair shampoo for my hair. I get a bit of new growth every two weeks. I use it once or twice a week. It takes time tho, but that's only natural, hot oils demand more steps. Also, I notice my scalp healthier, and many baby hairs are growing thicker and faster. I don't like to spend this much on hair care products, but I have short hair, and I need this product. I am using the hot oil grow hair formula to grow out all the breakage areas. It has been like 3 or 4 weeks, and my hair has so much new baby hair growing everywhere. The way it leaves my hair is amazing. It lays so smooth, and it is free of flakes. By the way, is very easy to use. I love this product! It is one of the best products for my hair, and I love them all! You must try this is you have damaged hair - from coloring, perms, wind, humidity, or just damage from winter! This hot oil product is the very best. I have very coarse, thick black hair. Using this oil I leave it on my hair, place a shower cap on and do some housework, and bam -- in about 20 minutes, you wash and have silky, unbelievably gorgeous hair! I could feel the difference almost as soon as I put the hot oil grow product on my hair. It immediately makes it so much easier to comb through my hair which tangles easily. I got this because of my over processed, damaged dry hair. It helped it instantly. I did the plastic cap overnight the first time. My hair is no longer dry and breaking off and is growing back nicely. Thank you. I have been using this product every day, and so far I have been satisfied. Before my hair was dull, dry and I had a lot of breakage but since I started using this hot oil grow the product from JustNatural my hair looks shinier, feels softer and I have had less breakage. I would recommend this product for anyone. This product helped me reducing hair fall. It gave new life to my hair. For daily use, I would suggest to apply it in the evening. Hair will look shiny and healthy all day long. It provides moisture to hair. I recommend it for people facing thinning hair problem. I have been through a lot with my fine 2C waves. I had a period where I straightened my hair almost every day. It started to break in pieces, thus making my poor stands very thin and weak. I cut my hair short to get rid of the damaged ends, and this product helped soften and revive it. I see less hair on my comb and strength in it. I have already recommended this product to a friend going through the same situation I was going through. I get many compliments on my hair since I've purchased this product. I was transitioning from a bad relaxer about a year ago. My hair was broken, thin and extremely damaged. I would hide it underneath hats and beanies. I bought this product in the hopes of repairing my hair. I applied the hot oil product for 15 minutes once a week for eight weeks. My dry, damaged hair changed for the better. My hair was sleek, sturdy, and shiny. I recently cut my relaxed ends, and my newfound curly hair looked nourished and perky. My hair is mahogany brown with a cascade of various curls and coils that frizz promptly. My hair has been scorched and destroyed by chemicals and flat iron over the years. I have been slowly nursing my hair back to health by trimming the more damaged parts and constantly conditioning the rest. This product made my once frayed frizzy hair supple and manageable. I pair this product every time do my intensive deep conditioning product. My stylist is shocked at how much better my hair looks. She has even asked me if what I've been using in my hair. Elated by my results! This product was in my cart several times and I finally decided to make the purchase. I couldn't be happier. This product really works! The smell is nice and it's like you can feel it working. I have only been using it a couple of weeks and have seen results. You have to use this to see for yourself how great it really is. This stuff is great! It works well to help regrow hair and it smells wonderful. I keep buying it again and again. La la la loooove this product line. I just started using this oil and it's amazing. I also use the shampoo, conditioner, AND the heat protecting treatment. My hair has grown so much in a matter of about 3-4 weeks. It's grown so much using this product line that my daughter asked if I had extensions in my hair. My hair is so soft and vibrant. I would recommend this to any and everyone! Excellent product! My hair feels so much thicker and I'm finally getting shine back. The price is worth it since I only see natural ingredients, no chemicals. I've tried everything after cutting my hair short. And this works the best!!! I spend a lot of time in bed as I'm in a wheelchair and often need to stretch my spine and hip. My hair got so bad - dry, weak, breakages everywhere - that I would wake up with this huge tangled birds nest in the back of my head. When I brushed it in the morning, the brush was full of broken hair. I started using this formula and now there are no more messes and my hair is baby soft and getting stronger. I can actually comb my head with a fine tooth comb.